Developed for use with nanocomposites, Microcopy’s durable, single-patient-use polishers resist crumbling and retain their shape. Simplify restoration polishing with choice of a 1- or 2-step process with no polishing paste needed. 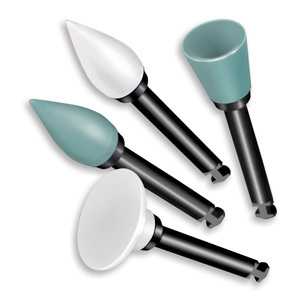 Withstand anatomic variations for effective and efficient polishing of all areas of a restoration. While the polishing system we were using at the UOP was adequate, we were always looking for something that would give us a better result with fewer steps. Additionally, we wanted something that performed consistently and would not leave debris on the restoration because it was easily breaking down. Gazelle was an easy choice to address these needs.